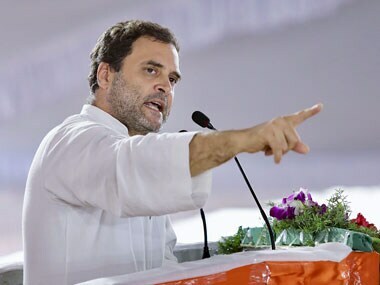 The only consolation the Congress can derive from the ABP-C Voter survey that predicts a clear win for the party in three states is that for the first time in five years it is touted as the front runner. Not since 2013, when it won Karnataka, has the Congress had the luxury of seeing itself as a favourite in a poll battle. Clearly, the mood of the nation is changing. Among the three states that are likely to go to polls in November-December — unless the BJP pushes for simultaneous polls in 2019 — Rajasthan appears to be the safest bet for the Congress. This is not only visible on the ground but is also reflected in surveys. And there are two major factors behind the predicted resurgence of the Congress. One, voters of Rajasthan have the habit of rejecting the incumbent. So, this years, it is the BJP’s turn for getting voted out. Rajasthan’s predilection for anti-incumbency could have been reversed only by a strong performance by the Vasundhara Raje government. But, Raje has not lived up to expectations of the electorate. Two, Rajasthan is the only state in north India—other than Punjab-- where a Congress leader enjoys high popularity ratings. As the ABP survey points out, former chief minister Ashok Gehlot is the choice of nearly 40 percent voters for the CM’s job. 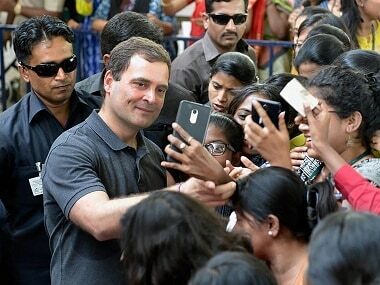 Compare this with Rahul Gandhi, whose popularity remains in the mid-20s in all these states. 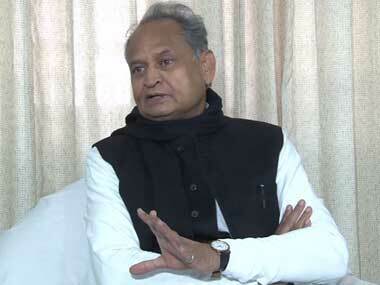 Gehlot’s acceptance among voters may appear surprising. 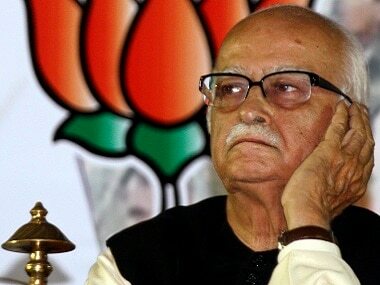 Under his watch, the Congress suffered its worst defeat in the electoral history of Rajasthan. In 2013, when Gehlot was the incumbent, the Congress won just 21 seats in the 200-member Assembly. But, with the benefit of hindsight it can be argued that Gehlot was swept away by the Modi tsunami in spite of his popularity and reasonably good performance and welfare schemes. Now that the Modi wave has subsided, voters are keen to look at Gehlot again. Caste equations do not favour the BJP either. For almost two years, Rajput voters were upset with the BJP because of the encounter killing of gangster Anand Pal—a Robin Hood figure for the community youth—and for allowing the screening of Padmavat in spite of protests. The BJP is now trying to appease them. 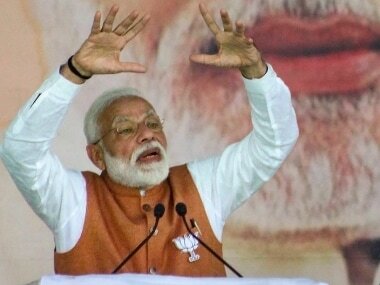 But, any effort to mollycoddle the Rajputs would trigger an equal and opposite reaction among their traditional rivals—the Jats who are arguably the most influential vote bank in the state. Factors like anti-incumbency, absence of a wave, subdued performance of the government, rising joblessness, rural distress, unfavorable caste arithmetic and the presence of a popular Congress leader the electorate trusts would make Rajasthan the toughest state for the BJP to win if elections are held in 2018. In Madhya Pradesh, the contest, as the poll also predicts, is close. Here the Congress appeared to be in a strong position till a few months ago. But chief minister Shivraj Singh Chouhan has regained lost ground with two popular schemes. One of them a consume-as-much-electricity-as-you-can for a fixed amount of Rs 200 per month juxtaposed with waiver of pending bills of around 5200 crore has calmed down agitated farmers. The other scheme that insures the lives of daily wage workers with Rs 2 lakh till the age of 65 has resonated among the rural voters. In addition, his Jan Aashirwad Yatra has galvanised workers and created a buzz within voters. In contrast, the Congress is nowhere on the ground. Its state chief Kamal Nath is more of a strategist who fights his battles from behind closed doors. His appeal and charisma do not match Chouhan’s. The Congress campaign committee chief Jyotiraditya Scindia is the other popular face of the Congress in the state. But his ratings, unlike Gehlot’s in Rajasthan, are nowhere close to his BJP rival. The Congress, as the survey, predicts can indeed win Madhya Pradesh. But, for this to happen, the party would have to strike an alliance with the BSP to consolidate the anti-BJP vote, run a spirited campaign, unite its house and present a clear alternative to Chouhan. Unless that happens, it may find the ground slipping beneath the feet as the campaign progresses. Chhattisgarh, as the survey predicts, is too close to call. The two parties are predicted to poll 40 and 38 per cent votes. A major portion of the remaining 22 per cent votes might go to the Ajit Jogi’s Janata Congress Chhattisgarh. In a triangular contest, all bets are off.